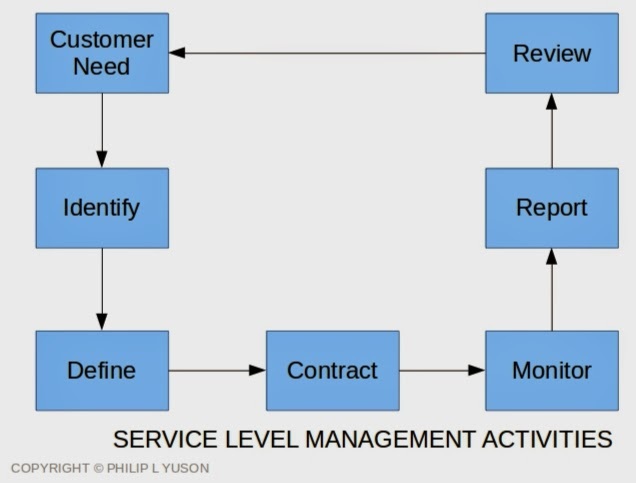 Service levels are reported based on the defined KPI. 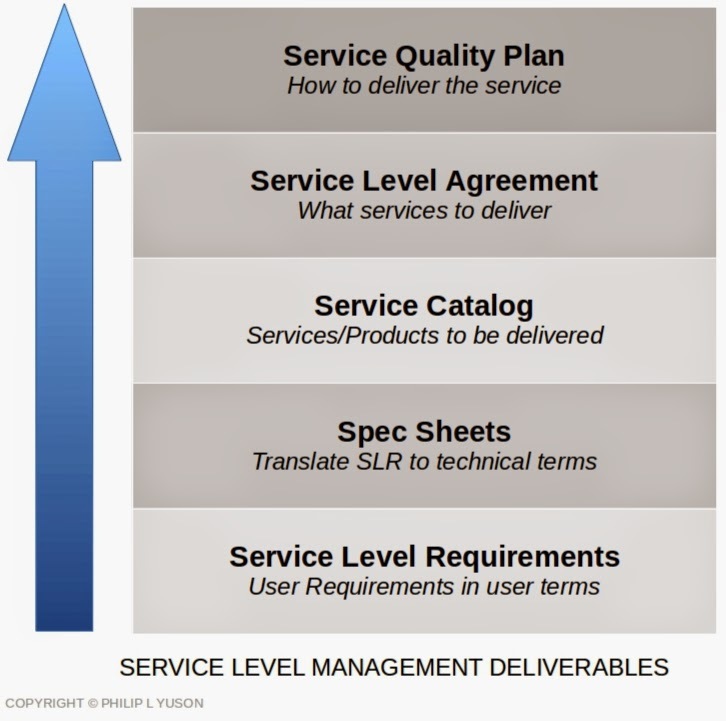 Costs associated with delivering the service levels may also be reported. The reports are reviewed and a Service Improvement program (SIP) can be initiated if needed. The SLA may also be renegotiated.